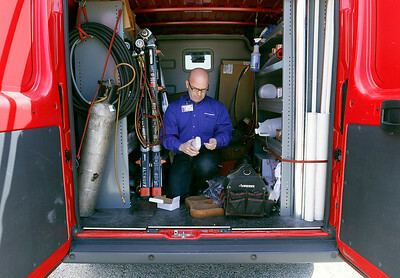 H. Rick Bamman - hbamman@shawmedia.com Altoff Industries residential field supervisor Jim Richter checks a new low level carbon monoxide monitor in one of the company's service vans on Wednesday, April 13, 2016 in Crystal Lake. H. Rick Bamman - hbamman@shawmedia.com Black Diamond Plumbing & Mechanical Inc. lead technician Tim Mays uses a combustion gas analyzer during an inspection at a Lakewood home on Thursday, April 14, 2016. The analyzer is used to determine the safe operation of combustion appliances. 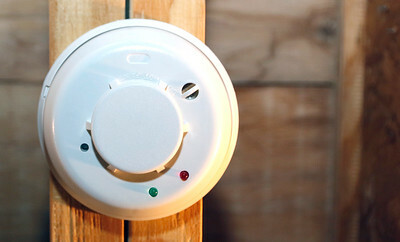 H. Rick Bamman - hbamman@shawmedia.com A wifi equipped combination smoke and carbon monoxide detector is installed on the utility room ceiling joist in a Lakewood home. 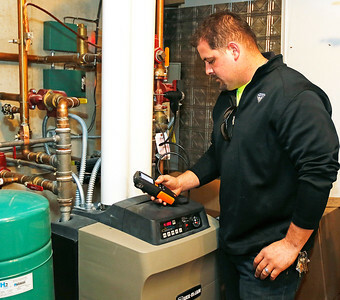 Black Diamond Plumbing & Mechanical Inc. lead technician Tim Mays uses a combustion gas analyzer during an inspection at a Lakewood home on Thursday, April 14, 2016. 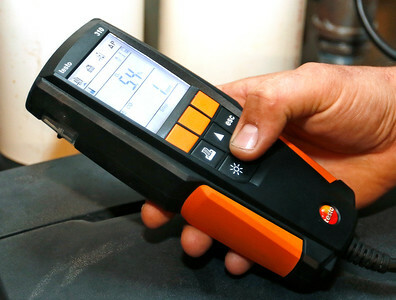 The analyzer is used to determine the safe operation of combustion appliances.